Create your own easy fall wreath with farmhouse flair. I love decorating for fall. Fall is my favorite season! Today I’m sharing a beautiful farmhouse style fall wreath you can easily make in 10 minutes. This is a perfect craft for beginners! Thank you to Hobby Lobby for sponsoring this post. Y’all know how much I adore that place. Side note: I told my friend I was heading to Hobby Lobby. 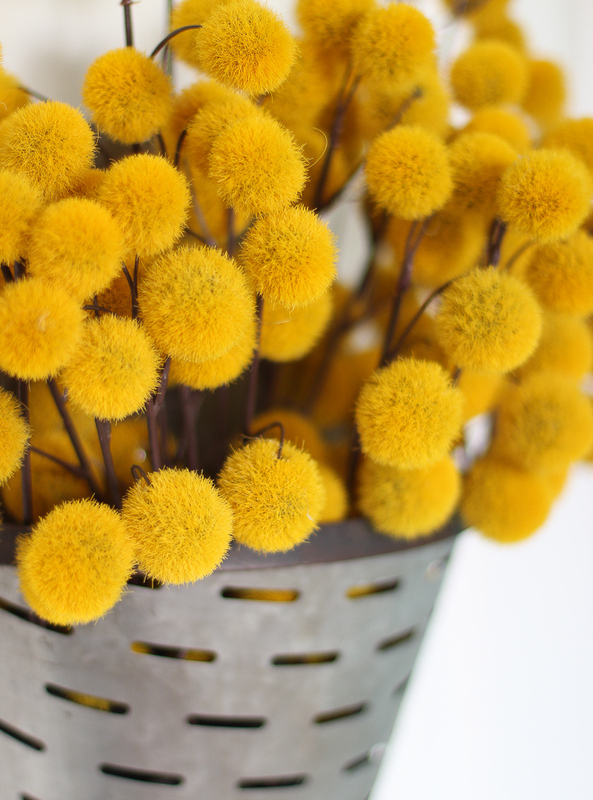 I went looking specifically for supplies to make a wreath and found the prettiest mustard yellow fluff balls. That’s the technical name, you know. 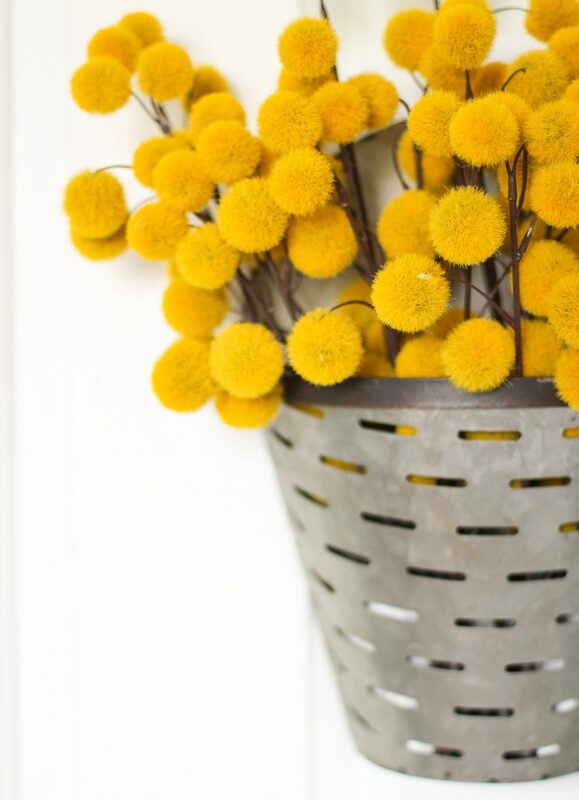 Actually, their website calls them a Yellow Pom Pom Bush. So there you go. I ended up using four bunches of them. 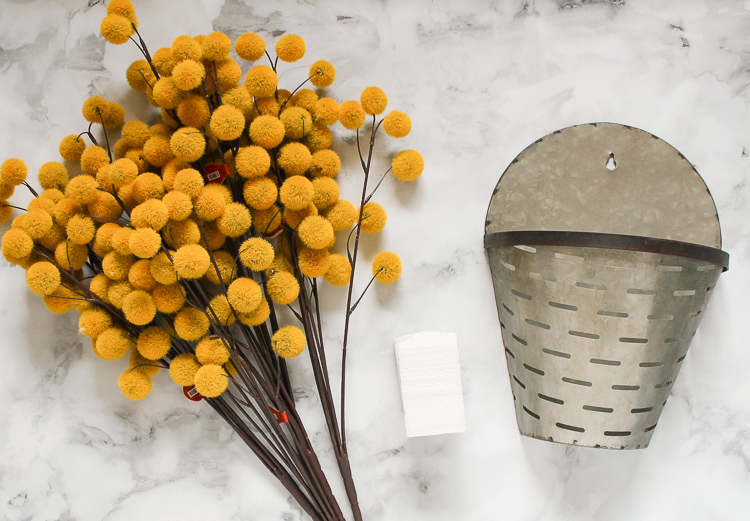 Then I found a galvanized metal olive wall bucket and knew it was a match made in heaven. 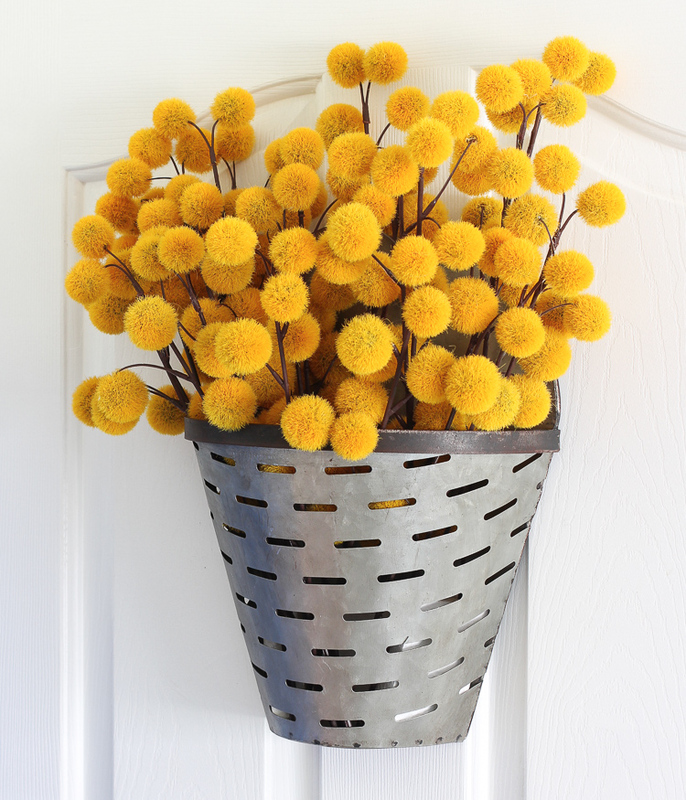 After the galvanized metal tire wreath was such a hit, I knew another door hanging with a galvanized metal element would be right up my alley. The only other supplies I used were a pair of tin snips and a leftover bit of craft foam to anchor flowers in place. 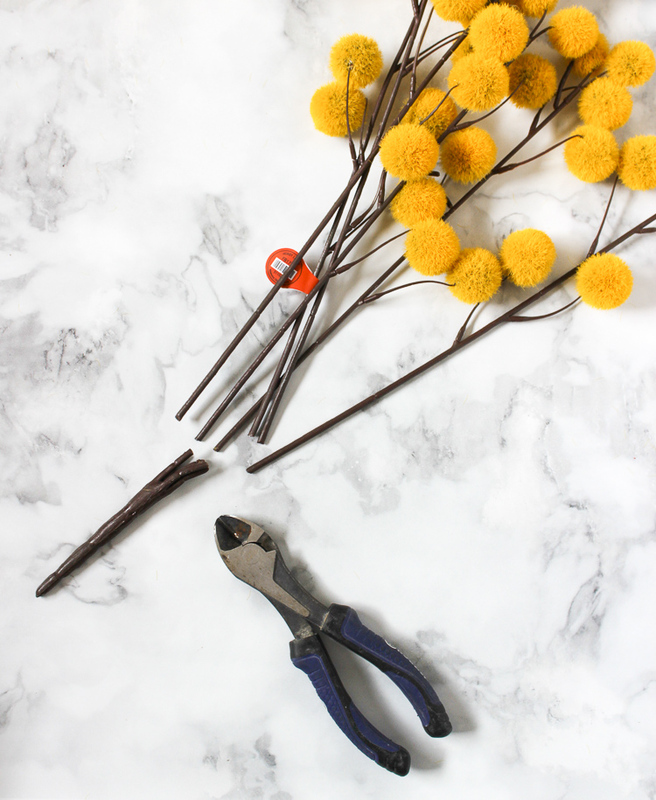 Want to see how easy it is to make this wreath? It’s literally a two step deal. Two steps. Even if you are not crafty at all, you can handle this! Promise! Step 1: Cut the stems apart just above the base where they join together. It’s fall farmhouse perfection, don’t you think?! And it was so simple to put together! 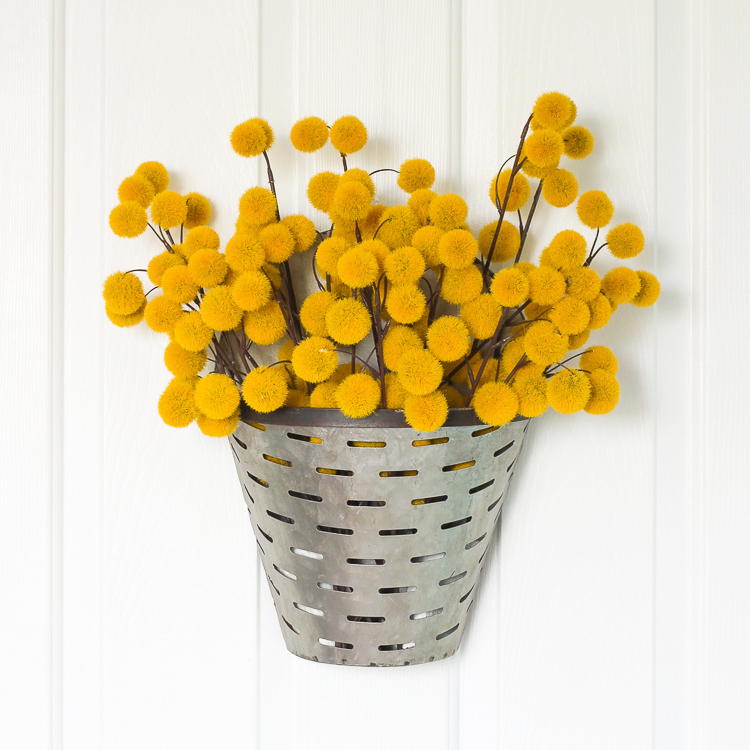 I just love the texture of those little pom poms. They look like the center of flowers after the petals have fallen off. But guess what? It gets better. You can easily use this wreath all year just by switching out what you fill it with. I may have stacked my entire cart with silk flowers just so I could show you all of the cute ways you can style this olive bucket. My front door is going to look good ALL. YEAR. LONG. Could you die? I love them all so much I can’t even pick a favorite. But maybe it’s the heads of cabbage. That one is pretty stinkin’ cute. Which one do you love? 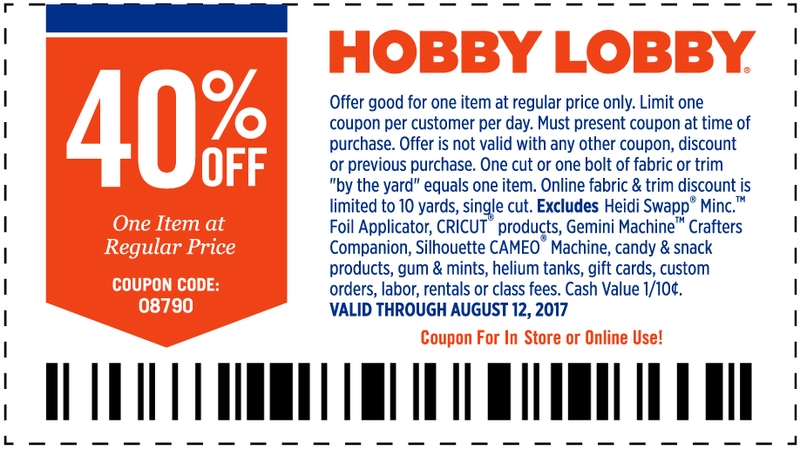 Don’t forget to print out a coupon before you head to Hobby Lobby!